2) In turn 101, as age of war has just started, some unknown civilization turned to science gods and discovered Beyond mortality tech and is prepared for tech victory. A bit early, wouldnt you say? 3) As I live my casual raider life, my adversary's president happens to wonder around in the middle of my den. Undefended, with no any of his valuable planets anywhere near. I thought it was better for him to stay in his main base to drastically improve his production output. But who am I to know anything about strategy? BTW I am using Gauntlets race mod. 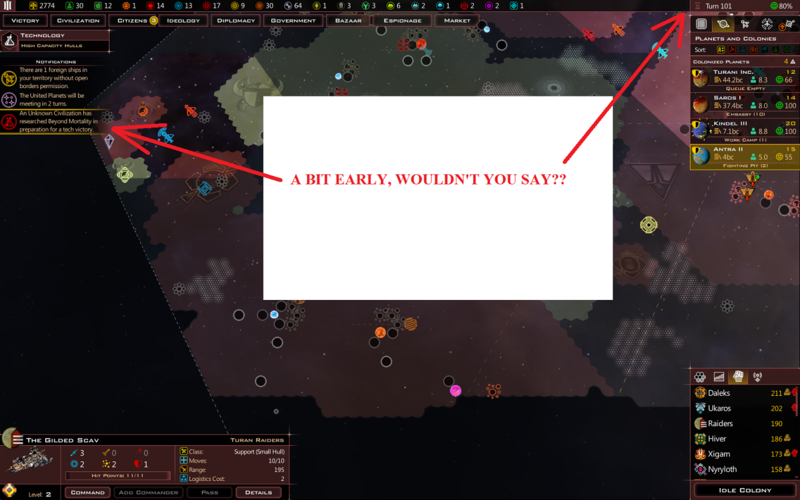 It is the only mod that I use and it does not affect anything mentioned above, as far as I am aware. 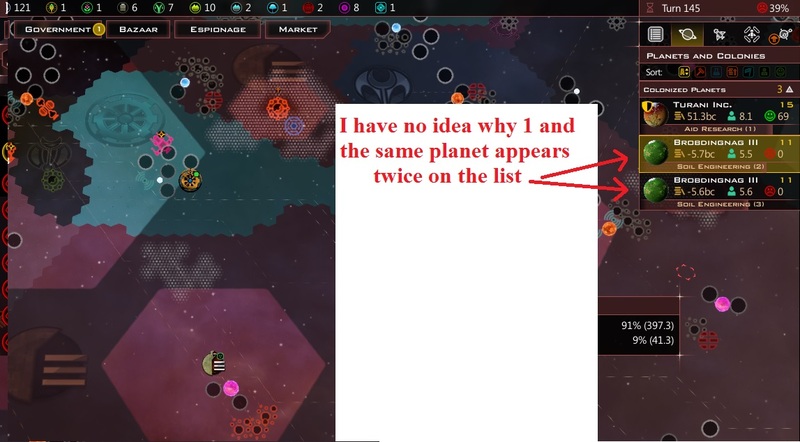 Another weirdness that completely ruined my game session experience: I got ship so overpowered that it literally could conquer the whole galaxy without overexagerration. Take a look yourself and compare those stats with SMALL ship stats that were currently built as war fighters... I mean thats ridiculous. 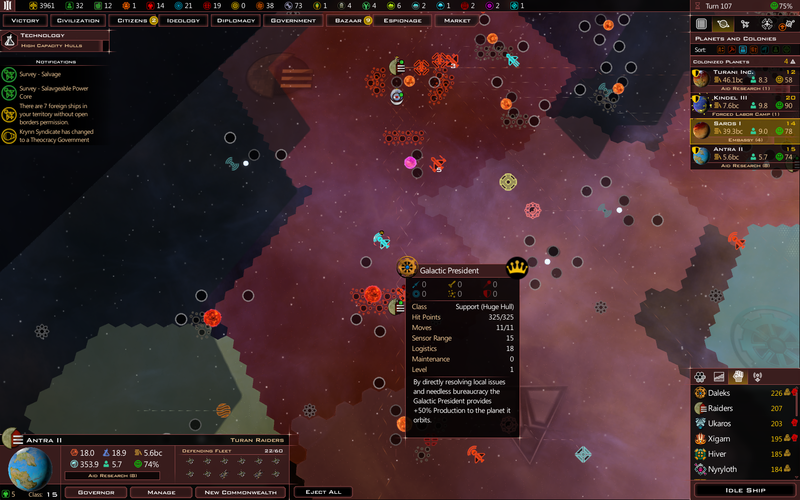 Here is how I got that monster: I simply recruited citizen as a Commander, assigned it to fleet. It gave OK bonus. 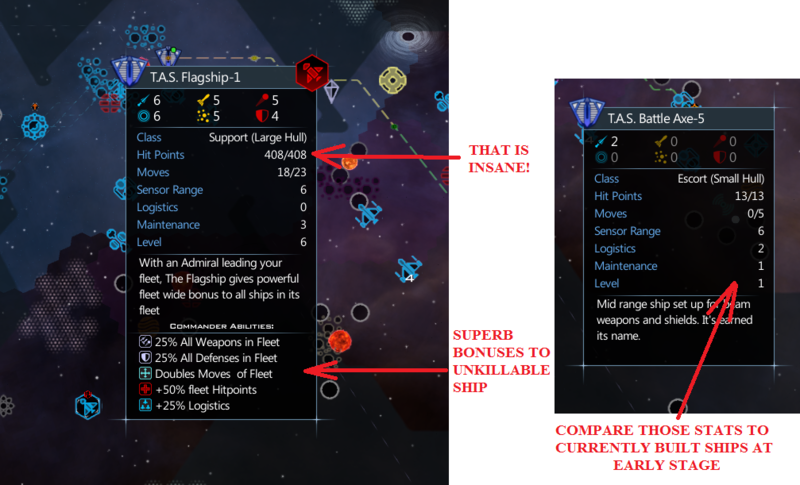 It wasnt enough so I decided to upgrade my Commander to get a... Flagship. 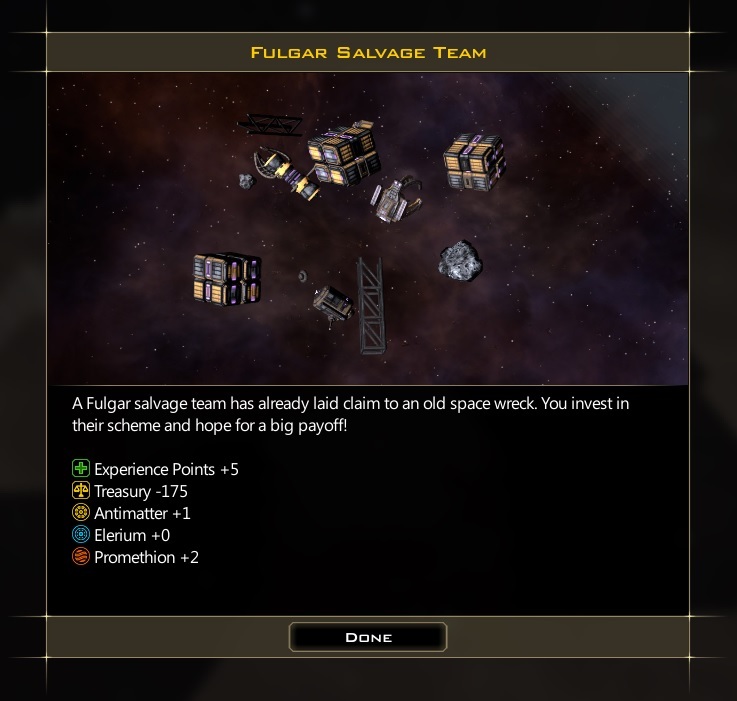 The ship I got was so powerful that, together with already bought mercenary it instantly wiped out my adversary and I became from one of the bottom to the very first, most powerful civilization. How boring. I assume that the logic for the Commander is that a combat fleet shall be translated into (fleet) production. 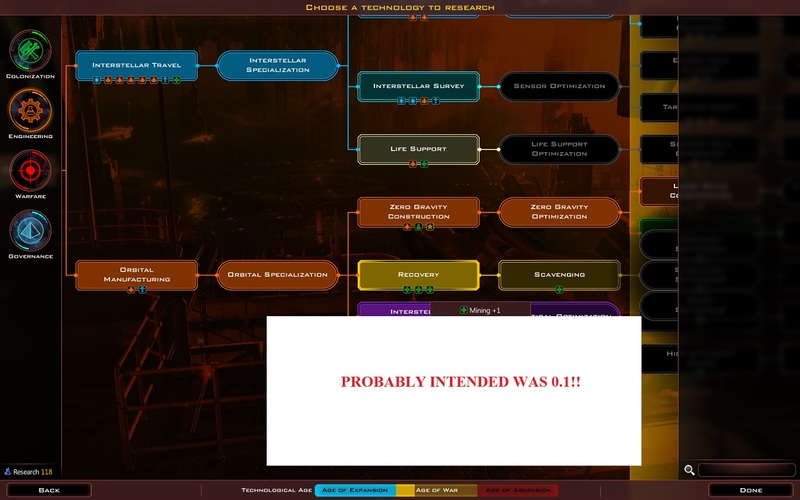 Therefore, ALL stats could be upgraded for 30% to compensate for a citizen that boosts production. This idea may sound proper on paper, but on practice IT IS OVERKILL. The AI cannot compete. 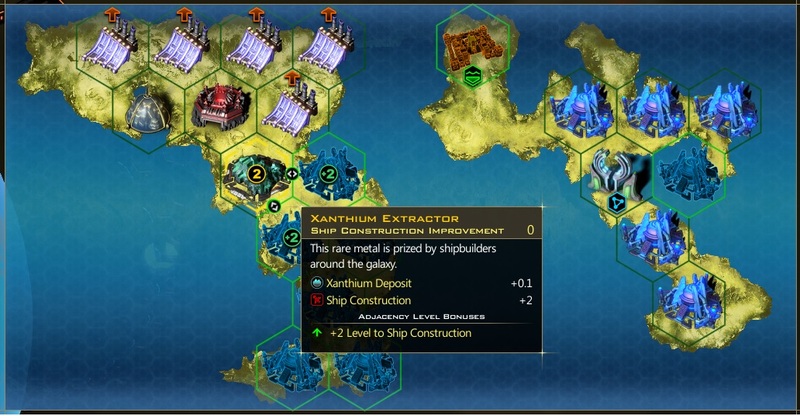 This Xanthium extractor supposedly gives bonus to ship censtruction, yet, in this instance it boosts science. 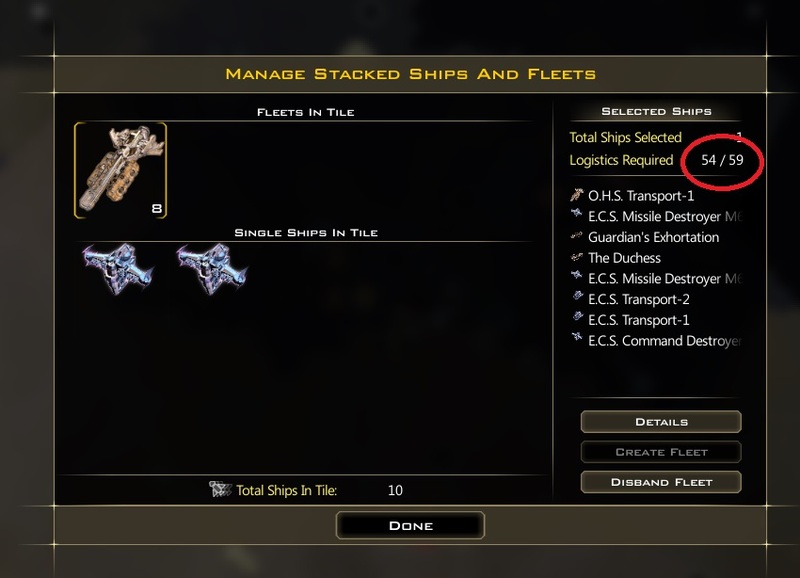 Fleet manager is not displaying the bonus of a Commander (Logistics +25%) thus disabling ship merging. 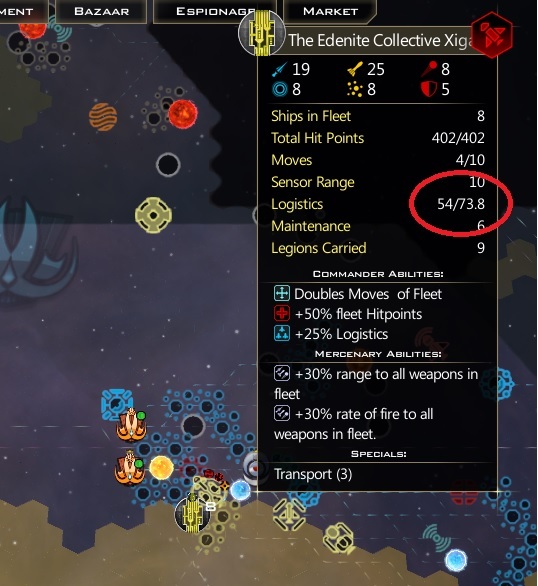 Yet, when you click on a fleet in space, the numbers magically change and you can stack those ships.